Bialetti Venus Elegance Espresso Coffee Maker 2 cups is a stylish espresso coffee maker from Bialetti, the inventor of the espresso maker. This model is manufactured in stainless steel and works on electric and gas stoves not including induction stoves (only 4-cups and larger). 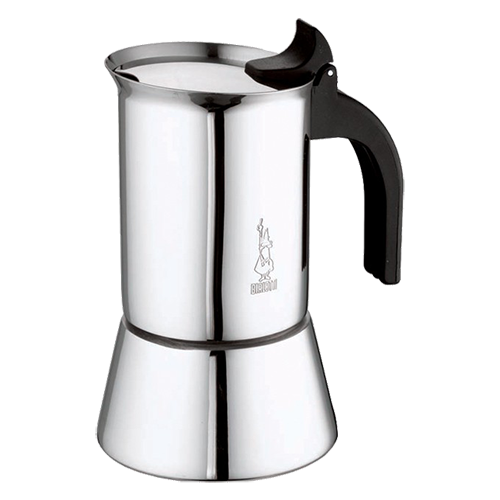 Bialetti Venus Elegance is also available for 6 or 10 cups.